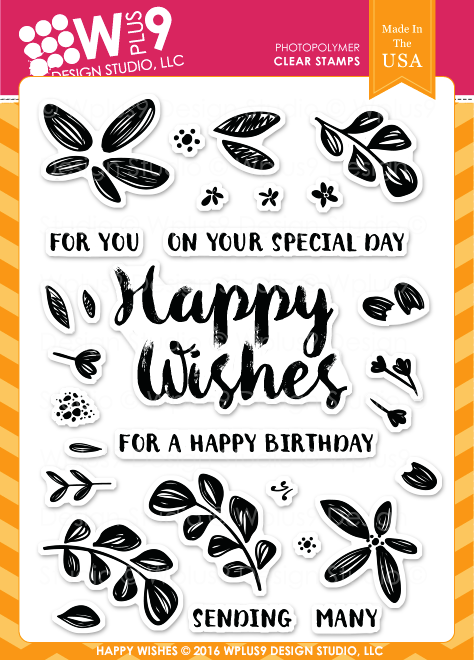 "Happy Wishes" is a 4 x 6" set containing 29 individual stamps; 23 images and 6 sentiment builders. A fun floral builder with a hand drawn look. Happy Wishes is an easy to use set with tons of possibilities. There are several sizes of leaves and flower included in the set for creating full backgrounds to wreaths to everything in between.